Perhaps a rose by any other name would smell just as sweet—but what if that name were written in Comic Sans? Typographic logos are tricky things: They can communicate trust or chaos, make you look smart or clueless, and come across as expensive or cheap. If the name belongs to a company that stands for heritage and quality, getting this right is serious business. 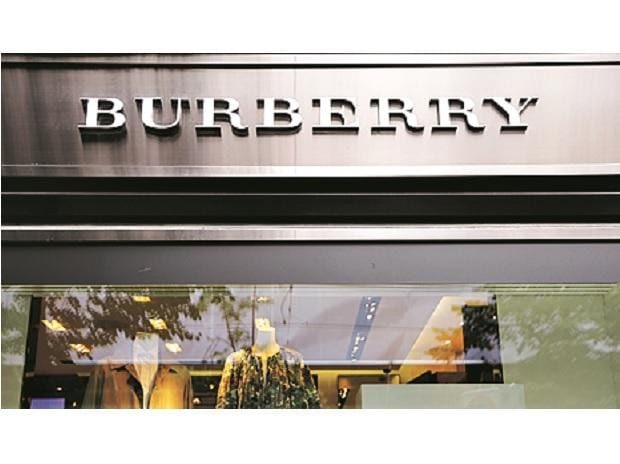 Shortly before London Fashion Week this fall, Burberry unveiled a new version of its logo before the first runway collection under new Chief -Creative Officer Riccardo Tisci. The old Burberry word mark hadn’t changed much since its “equestrian knight” was registered more than 100 years ago. It looked like something chiselled into the side of a venerable government building: slender and­delicate letters, airily spaced with officious serifs. The new logo has a heavier, bold look with a geometric sans-serif treatment. It’s louder, like a sticker on a skateboard—or one used to vandalise a venerable government building. It was created by graphic designer Peter Saville, famous for his Factory Records album covers in the 1980s and, more recently, for his work with Lacoste, Tate Modern, and Yohji Yamamoto. Many purveyors of upscale goods are choosing a similar feel. Bill Gardner, a designer who obsessively tracks corporate identities at LogoLounge, cites a litany of pricey brands that lately have opted for the all-caps sans-serif look: Céline, Rimowa, Diane von Furstenberg, Balenciaga, and Saint Laurent, as well as Saville’s own refresh of Calvin Klein in 2017.